We've used all kinds of small containers to house snacks and necessities since having a child but when she reached the toddler stage, this tower became a good friend. I just fill each container with a different snack and toss it in the diaper bag. When we need it, I take it out and let her choose which cup she wants and it's already perfectly portioned. This way, she can't choose the same snack over and over so it helps balance her nutrition. The clever design lets you use just the number of containers you want and leave the rest. We typically go through 1-4 per day when we're out and about. They are durable and wash well. We don't always use the removable spout tops but there are cases where they are a really nice option for pouring things out or sharing. Plus they are really cute too! 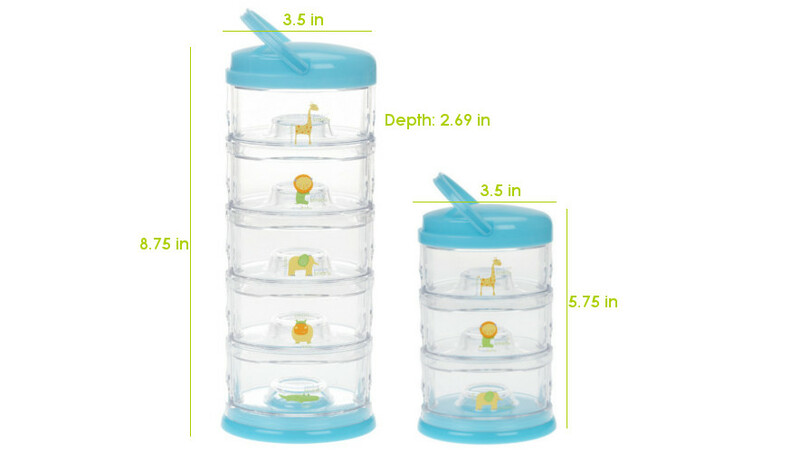 Click the button below to add the Innobaby Packin' SMART® Stackables -5 Tier / Zoo Animal to your wish list.